We have good tie-ups with major airlines as due to our commitment, volume of our dealings and our support them on all voyages; we are able to get the best deals in terms of both services and prices. We ensure that these benefits are passed to the customer. Our team has full Knowledge on handling special cargoes and due care is taken to keep you informed that where about of the cargo at all times. We offer door-to door services for all the cargo arriving from all countries of the world. Our dedicated partners help us provide for updated tracking for all our customers. 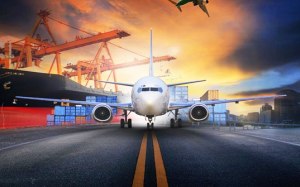 We ensure quick clearance and delivery of the cargo arriving from all air ports of world, with our own team being situated in the major airports in Egypt. We pride ourselves on our excellent relationship with most of the major carriers and enjoy tier one rate.